A 23 year-old woman from Marondera was on Sunday stabbed by her husband after she was allegedly caught pants down with her ex-husband. Patience Billard is currently admitted at Makumbe Hospital in Domboshava. She is denying the allegations. Patience allegedly sneaked out of her matrimonial home in Bromely, Marondera and visited her ex-husband Revious Chigwazeni to pick up her son for Easter holidays. 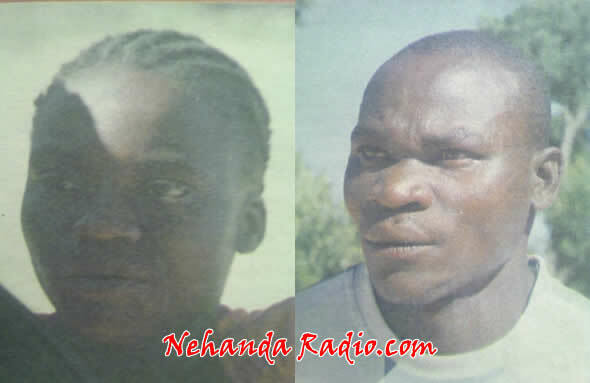 Patience's husband Pardon Mandikisi followed his wife following a tip off and reportedly caught her in bed with Revious with whom they had a relationship which ended in 2004. The incident took place at Masvosve Kraal in Mungate village and Pardon was bashed before he was arrested. He is currently detained at Chinamhora police station. Patience said she had been treated unfairly. "I separated with Revious in 2004 and we have one child. I then got married to Pardon in 2007 and we have two kids. I have not seen my son for the past 8 years and Pardon does not want me to visit or be with my son, so I sneaked out after he went to Mazowe to collect one of our two kids. It was not my intention to have a night with Revious but my mother in-law asked me to sleep over saying she wanted to take the child for prayers at her church. My husband arrived while I was holding my underwear to take a bath and he snatched it from me and stabbed me on my back once with a knife. "I discovered the location of my son last month after my brother led me to this place and we agreed with Revious that I would take the child with me for the school holidays. From that visit I learnt that Revious never takes anyone to be his wife and we were at the house after his mother went for an all night prayer with my son. I wanted to be with my child over the Ester holidays but now he (husband) wants to kill me," fumed Patience. Revious' mother Diana Muchena said that Patience's marriage with her son broke down after she was caught cheating with a married man. "I do not think Revious wanted to take Patience as his wife. They separated when she was caught cheating with a married man. I was in Bulawayo by that time and I received a call that Patience was implicated in a love scandal with a married man. We used to stay in Bromely before we relocated to this place and Pardon's brother was Revious' friend. Revious married Patience after we had moved to Domboshava and they remained at George's farm in Bromely where they are still staying now," said Diana. Efforts to get a comment from Pardon were futile after police officers whisked him away as people bayed for his blood. Revious took advantage of the commotion and he sneaked away from the scene.